What access requirements do you need? We require 9.5 foot wide access to ensure safe access to where you need the skip delivered and dropped. What should I do if there are potential access issues? Let us know your concerns and we will work with you to establish the most suitable solution. We deliver across Cumbria and areas of South West Scotland (all access dependant). How long will it take for my skip to arrive? We aim to deliver all skips within 24 hours of booking and receipt of payment. However, you can also specify an alternative date if this would suit. We will always confirm this with you before delivery. Do I have to wait for delivery? No. You don’t have to be present to take receipt of the skip. If you have specific delivery instructions, please advise the team at the time of booking. How do I arrange collection of the skip? Call our Customer Service team on 0845 241 3333 (option 2) to arrange collection or exchange. We aim to collect skips within 48 hours. What happens if I overfill my skip? A skip that has been over-filled will not be collected as it is illegal and unsafe to do so. If you are unsure on whether it is likely to get over-filled, then it is always better to call us to arrange and exchange to prevent this happening. Additional charged may be incurred if we arrive to exchange/collect and the skip is over the fill level. Costs vary dependant on container size, location and waste stream. Our Customer Services team will discuss these various options with you on request. How do I pay for my skip? We can accept payments by card or by BACS. For trade account customers, you will be billed by invoice. If you would like to set up an account, you can contact our Sales team to discuss the options available. 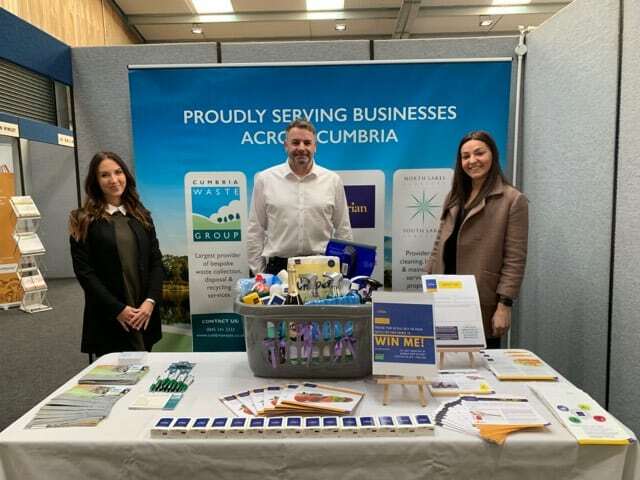 Do Cumbria Waste offer trade account customers? Yes, please contact our Sales team if you would like more information. Will I need a permit for my skip? You do not need a permit for a skip if it is placed on your own land. However, a permit is required from your Local Authority if it is to be placed on the road or verges. How do I obtain a road-side permit? We will organise the permit on your behalf. The cost of this will be added to the price of the skip (£30 in England and from £100 in Scotland). In England it takes between 3-5 working days. In Scotland it can take up to 14 days. Please consider this when arranging delivery.